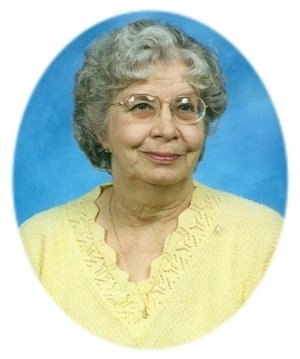 Obituary – Beier, Peggy June (Perkins) « Perry High School Alumni Association, Inc.
Peggy June Beier, 74, of Perry, Oklahoma, was the daughter of William Earnest and Opal Naomi Griggs Perkins. She was born on September 18, 1936 in Perry, Oklahoma and died on Friday, September 9, 2011 at Green Valley Nursing Home in Perry, Oklahoma. Peggy married Harold Edward Beier in Perry, Oklahoma on November 30, 1952. He preceded her in death on April 16, 1999. Peggy loved cooking, canning and baking for all her family and friends. She was a member of the Calvary Baptist Church. Funeral services will be 2:00 p.m. Tuesday, September 13, 2011 at the Calvary Baptist Church in Perry. Rev. Roger Dunn will officiate and be assisted by Gerald Stewart. Interment will be in Grace Hill Cemetery. Services are under the direction of BrownDugger Funeral Home. Family will receive friends 6:00 p.m. to 8:00 p.m., Monday, September 12, 2011 at BrownDugger Funeral Home. Memorials may be made to the Alzheimers Association or Companion Hospice in care of BrownDugger Funeral Home, 1010 N. 7th Street, Perry, Oklahoma 73077. Peggy is survived by two sons, Ronald Edward Beier and his wife Kathy, Kevin Harold Beier and his wife Kristi, one daughter, Connie Marie Mendenhall and her husband Randy all of Perry, Oklahoma three sister-in-laws, Rosie Perkins, Mildred Graham and Marie Kukuk all of Perry, Oklahoma one brother-in-law, Lawrence Beier and his wife Fran of Perry, Oklahoma sixteen grandchildren and nineteen great grandchildren. She was preceded in death by her husband, Harold Edward Beier parents, William and Opal Perkins, two brothers, Bud and Jim Perkins two sisters, Dorothy Miller and Maxine Kanehl.